Theresa May visited Wokingham yesterday to promote her new policy of giving most first-time buyers assistance in getting on the property ladder. The UK Government abolished stamp duty altogether for first-time buyer purchases up to £300,000 in the autumn budget, which is also available for the first £300,000 of properties worth up to £500,000. 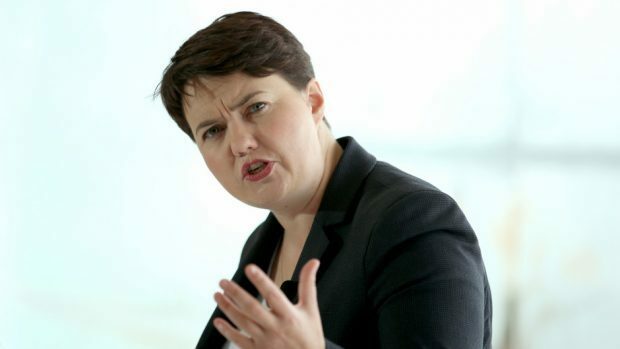 Her visit took place as Scottish Conservative leader Ruth Davidson warned there “is a growing tax gap between people in Scotland and elsewhere in the UK”. Mrs May claimed that 16,000 people have already benefited from changes to stamp duty announced by the Government. She said: “In the autumn, we set out ambitious plans to fix the broken housing market and make sure young people have the same opportunities as their parents’ generation to own their own home. “This has had an immediate impact, with thousands of people already making savings thanks to our stamp duty cut, and over a million first-time buyers over the next five years are expected to save money that they can put towards a deposit, solicitors’ fees or furniture. A Scottish Government spokeswoman denied first-time buyers in Scotland were worse off than in England under the stamp duty replacement, Land and Buildings Transaction Tax (LBTT). She said: “Scottish house prices are significantly lower than in England, while our progressive approach to LBTT rates and bands has taken more than 25,000 house purchases out of tax between April 2015 and October 2017. “Alongside measures to increase housing supply, the LBTT relief announced in the draft budget will give first time buyers in Scotland additional help to buy a property. “Raising the zero tax threshold for first-time buyers to £175,000 will mean that 80% pay no tax and that all first-time buyers will benefit by up to £600. “Our new, fairer, income tax policy will protect the 70% of taxpayers who earn less than £33,000 a year and ensure they pay less tax next year on their current income.